Get great looking results at your project. Doesn't matter what size your job is. Wall and ceiling repairs completed quick. Pleasant and reliable staff. Get your cost quote. Knowledgeable yet affordable. You will be totally satisfied with the work. Got a sheetrock assignment you’re working on? Maybe you have a problem with your existing ceiling or walls. This company puts up and repairs sheetrock ceilings and walls. Most of their projects are improvements and maintenance; other jobs are new construction or major remodels. On a normal maintenance job, they will patch and repair areas that can be patched and repaired. Other areas may have to be cut out and replaced. They work on projects in single houses, industrial properties and multi-unit buildings. 1. The order of drywall sheets is transported to the work area. 2. The sheets are put up on the ceiling and walls. 3. The job trash and excess product is hauled away, and the area is cleaned up. You could start painting the brand new surface areas as soon as the texturing and final cleaning up is done. They could take care of these five steps for you, or you could have them just do one or a couple of them. For instance, in case you are thinking about installing it by yourself, they could come out later on and just do the taping, mudding and finishing. Some folks may have them handle just the delivery and mounting of their sheetrock. They will have somebody else do the finishing and texturing tasks at a later time. Apart from common drywall products, they can also provide and put in specialty boards which are created for use in wet rooms such as washrooms or walls which will have to hold up ceramic tile. They will do their best to work around your schedule. A hole can get put into your sheetrock during a Friday evening party or in the middle of a weekend football game. Or by a teenager at any time. If your house has only a single hole, and that hole is at a place where most folks will never see it, you can try to fix it yourself by putting in a patch. Don’t be bothered or startled if your first effort at a patch doesn’t end up amazing. It usually takes practice to make a patch look great. While experts encourage property owners to not hesitate to try minor wall repair tasks, we usually feel that bigger patch repairs, especially in the main rooms of a house, be addressed by a professional. When they do repairs, the last stage is to have the new or repaired surfaces match the old surfaces. Patching or repairing an isolated individual hole or trouble area. 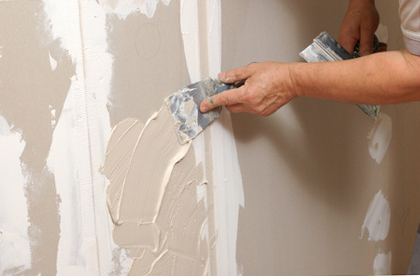 Getting a number of unattractive or dinged interior walls mended and ready for painting. Removing and exchanging sections of water spoiled sheetrock. Undertaking larger scale removal and replacement of a whole room or even more. From simple problem mending to large replacements and repairs, you can get someone with experience getting it done. Totally unfinished – only taped, best for unfinished work or storage spaces or garages. Smooth surface finish – no added texture, completely ready for paint or wallpaper. Basic texture – creates a little extra depth. Complex texture – height and dimension added and more difficult to get done. Texture match – make your new surfaces match up with your existing ones. The popcorn ceiling trend was popular for a few years. Today, most homeowners are not so fond of it. Your specialist will remove it and replace it with a minimal, modern texture. They are a far south King County home improvement drywall contractor. Their aim is to produce good results at a reasonable cost. They use good materials, along with the best equipment and safety equipment, so they can get your job completed as fast, and as safely, as possible. They all do their best to keep the mess to a minimum and guard your home and possessions from dust and dirt. They will leave no mess behind when they’re done. They clean up and take out their junk and scrap afterwards. 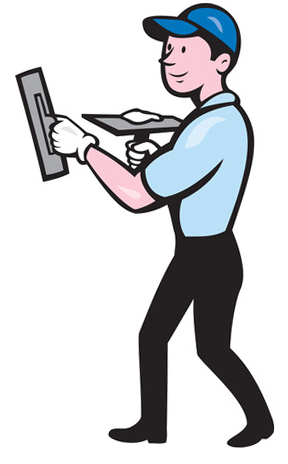 While many of their projects are in single-family houses, they also work in restaurants and other commercial buildings. They can work for homeowners, commercial property managers and contractors. Just let them know what your particular situation is. Whatever your project is, they will give you an estimate. The end cost is primarily dependent on how much material is needed and how long it will take to put up and finish it. The easiest way to supply a great estimate is in person, but that isn’t always feasible. The second best way is by making a short call. Unless you want to start painting it yourself, they can always take over that part of the job too. You may also have a different commercial painter to get your new or repaired work painted, or you might take care of it yourself. Whatever you want is okay. Where Do They Work in Western Washington? They work at homes and businesses in many areas north and east of Tacoma. Let them take care of your project in Federal Way, Dash Point, Lakeland North and other nearby areas. This includes the 98001, 98003, 98093, 98063 and 98023 zips. Where In Far South King County Do They Work? They work at many properties in the suburbs north of Tacoma. This includes Dash Point and the Lakeland North neighborhoods, plus the 98001, 98003, 98023, 98093 and 98063 zip codes.